Met Police Chief, Bernard Hogan-Howe, sparked some debate recently when he said overweight police officers must improve their fitness or risk losing their job but how much should employers be doing to promote personal fitness among their staff? While it is each employee's responsibility to look after their health, as an employer you have a vested interest in promoting a healthy work force. There have been plenty of studies into the effects of sitting down for long hours and just last week, another piece of research emerged which was commissioned by Public Health England and Active Working CIC that warned that physical inactivity at work results in a heightened risk of serious illness and premature death. Most people are too tired to head to the gym after spending all day at work so one way to improve the physical fitness of your employees is to invest in a gym at the office. For your staff, you're helping them to stay fit and healthy but there's much more to it as exercise also stimulates the production of happiness inducing endorphin's, reduces stress, promotes a better night's sleep and gives people more energy throughout the day. The effects on the brain are explained very well in this article and its worth a read if you're interested to learn more. In summary, it explains how when you start exercising, a protein called BDNF (Brain-Derived Neurotrophic Factor) is released. This BDNF has a protective and also reparative element to your memory neurons and acts as a reset switch. That?s why we often feel so at ease and things are clear after exercising. At the same time, endorphins, are released in your brain which give a feeling of euphoria. Research suggest that 20-30 minutes of exercise a day is all you need to see the benefits of exercise, both physically and mentally - which can easily be worked into a working day. Setting up a gym in your workplace can be easier than you think and probably won't cost as much you may imagine. Many office buildings have unused space, which can be easily turned into a gym and the cost of putting up walls, adding flooring and equipment, say a treadmill, elliptical machine, bench and weights can be done for less than the cost of a part-time salary. 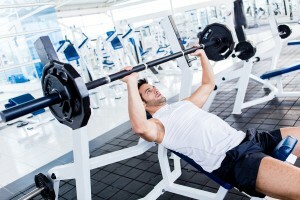 The long-term benefits of investing in a gym may certainly outweigh the initial cost.